In the past couple of days you have learned all those "boring" things about regeneration. Taking a hot bath, training lightly, posing, isometric contractions, ... and what about supplements? The basics, which are. protein, creatine and baking soda *rofl*, are probably already part of your regimen, but would you have thought that dehydroepiandrosterone, short DHEA (not to be confused with DHA in fish oil), the touted vitality and longevity hormone, of which the medical establishment has long concluded that there is, as in the case of most antioxidants "little evidence to suggest that DHEA replacement or supplementation prolongs life or prevents disease" (Kamel. 2008) could make a valuable addition to the supplement regimen of young athletes who constantly train at the narrow margin between over-reaching and overtraining? No? Then you will be interested in the results of a recently published study from William J. Kraemer's group at the Department of Kinesiology and Health Education at the University of Texas at Austin (Liao. 2012). The 16 healthy male college students (age 19.2; BMI 22.5 kg/m²) who volunteered for the study had unfortunately not performed "any types of exercise training for at least 3 months before the experiment" (which is a pitty, because it obviously reduces the significance of the results for you, someone who would never take 3 months off ;-), in the course of which they had to complete a 5-day exercise training regimen (cf. figure 1). While the subjects in the control group received 2x50mg caps with flour, the participants in the active arm of the study supplemented 2x50mg of DHEA at breakfast and dinner. Serum insulin, DHEA-S, and testosterone levels, as well as creatine kinase and delayed-onset muscle soreness were measured every 24h. As you can see in figure 1 the supplemental DHEA lead to a rapid yet not fully sustained increase in DHEA-S levels which was accompanied by a statistically significant increase in total testosterone only within the first 2 days of treatment. and neither the fasting insulin levels, nor the insulin response during the oral glucose tolerance test were affected. 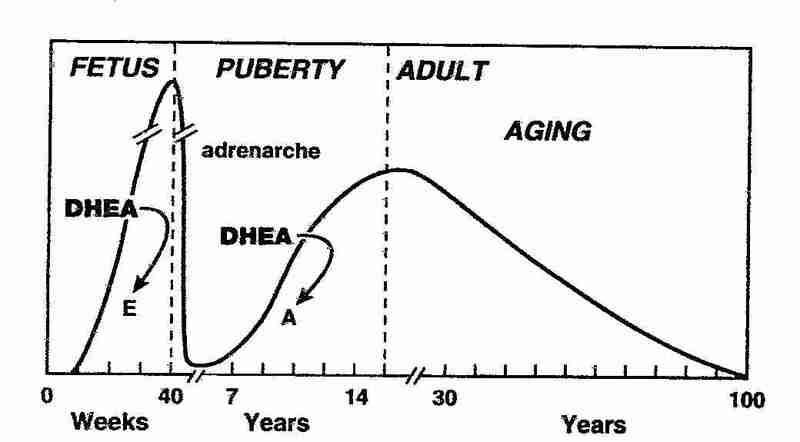 Figure 3: DHEA levels peak during puberty and begin to decline in your late twenties (Labrie. 2005). Against that background it would be interesting to see the very same study in a group of say "best-agers" or "baby-boomers", who could potentially derive much greater benefits from a boost in DHEA levels - although studies without exercise intervention yielded very conflicting and mostly disappointing results. Earlier this week, I have argued that you have to limit (not necessarily minimize) muscle damage to maximize the exercise induced net skeletal muscle protein accrual in the immediate vicinity (48h) of a workout (cf. "48h to Your Next Workout? Time to Take a Bath"). What I did not mention before is that the corresponding decrease in exercise induced inflammation should actually lead to an increase (or rather the absence of a decrease) in whole body insulin action, as it has been observed in response to eccentric muscle damage in previous studies (Costill. 1990; Asp. 1997). That this was not the case, here, could simply be a consequence of the timepoint at which the oral glucose tolerance test (OGGT) was conducted. After all, the data in figure 2 indicates that on day 6, the day of the second OGGT the CK levels had already returned to baseline. It is thus still likely that we would have seen a pronounced difference in insulin induced glucose clearance in the DHEA group on day 3 (post workout), day 4 and probably even day 5. A note on performance and estrogenic side-effects: An 8-week exercise intervention by Brown et al. which used only 50mg supplemental DHEA per day and a significantly lower workload, as well as longer recovery periods (3x total body workouts per week) did not produce significant changes in any of the study parameters. Neither beneficial ones, such as greater strength increases or hypertrophy, nor negative ones such as increases in estrogen or deteriorations of the lipid profile (Brown. 1999). In 2010, on the other hand, Ostojic et al. report in the Chinese Journal of Physiology that 4 weeks of 100mg supplemental DHEA, despite having no effects on the body composition of the 19-21 year-old soccer players who participated in the study, led to statistically significant increases in total testosterone (+37%), DHEA-S (+197%) and estradiol (+21% compared to the subjects in the placebo group; Ostojic. 2010). The overall significance of these results is yet questionable, since both studies were pretty underpowered (N=10 and N=20 for Brown and Ostojic, respectively) and employed comparatively low-volume / low-intensity exercise protocols with sufficient rest between workouts. It should still be mentioned that the DHEA induced "estrogen dominance", which is one of the most frequent arguments against DHEA supplementation you will hear on pertinent bulletin boards, was not observed in either of the two. Whether long-term (e.g. year-long) supplementation with DHEA at a dosage of 100mg+ per day is a safe undertaking, does yet likewise remain to be determined as the real-world impact and effect size of the reduced muscle damage and the purported improvements / absence of impairments of glucose tolerance during periods of intense training (more intense than the 3x per week whole body workouts in the Brown study, see red box). That all these effects could help you to train more frequently, gain more strength, build more muscle (less damage) and stay leaner on a bulk (insulin sensitivity), should be obvious. If they don't produce real world results and come at a probably overrated yet certainly existent risk of hormonal imbalances, it is probably safer to stick to what you have learned earlier this week and resort to the 42°C hot tub and some posing (=max. isometric contractions) on your off days, to keep the muscle damage during the next workout at bay. Asp S, Rohde T, Richter EA. Impaired muscle glycogen resynthesis after a marathon is not caused by decreased muscle GLUT-4 content. J Appl Physiol. 1997 Nov;83(5):1482-5. Brown GA, Vukovich MD, Sharp RL, Reifenrath TA, Parsons KA, King DS. 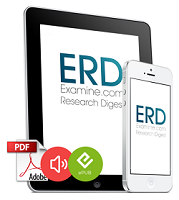 Effect of oral DHEA on serum testosterone and adaptations to resistance training in young men. J Appl Physiol. 1999 Dec;87(6):2274-83. Costill DL, Pascoe DD, Fink WJ, Robergs RA, Barr SI, Pearson D. Impaired muscle glycogen resynthesis after eccentric exercise. J Appl Physiol. 1990 Jul;69(1):46-50. Kamel NS, Gammack J, Cepeda O, Flaherty JH. Antioxidants and hormones as antiaging therapies: high hopes, disappointing results. Cleve Clin J Med. 2006 Dec;73(12):1049-56, 1058. Labrie F, Luu-The V, Bélanger A, Lin SX, Simard J, Pelletier G, Labrie C. Is dehydroepiandrosterone a hormone? J Endocrinol. 2005 Nov;187(2):169-96. Review. Ostojic SM, Calleja J, Jourkesh M. Effects of short-term dehydroepiandrosterone supplementation on body composition in young athletes. Chin J Physiol. 2010 Feb 28;53(1):19-25.